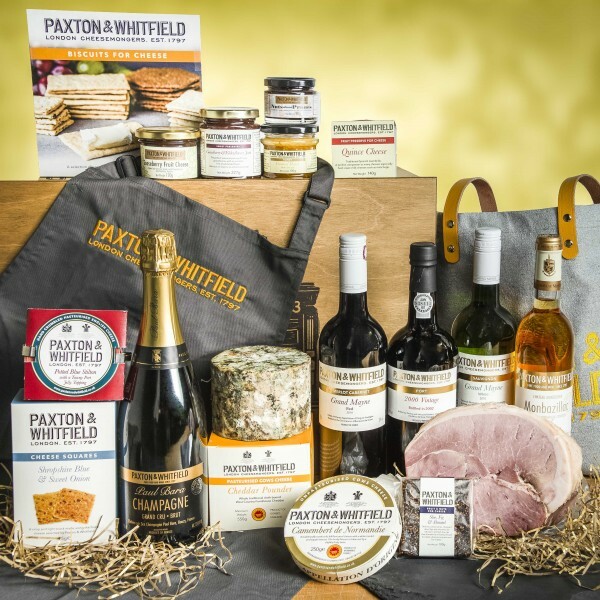 Give someone a real treat of cheese, fine food, accessories and our deluxe package of five Paxton & Whitfield wines, all contained in a stylish wooden hamper box. Please note we require at least a two day lead time for orders of this hamper. This simple and stylish apron, in Paxton & Whitfield grey, features our embroidered logo and is made of 100% cotton. An inspired gift idea. The apron is approximately 90cm in length.